A premium quality, timeless addition to our seasonal collection courtesy of None Of The Above's Made In England line, the chunky Cable Knit Jumper promises to become a wardrobe staple throughout the colder periods of the year. 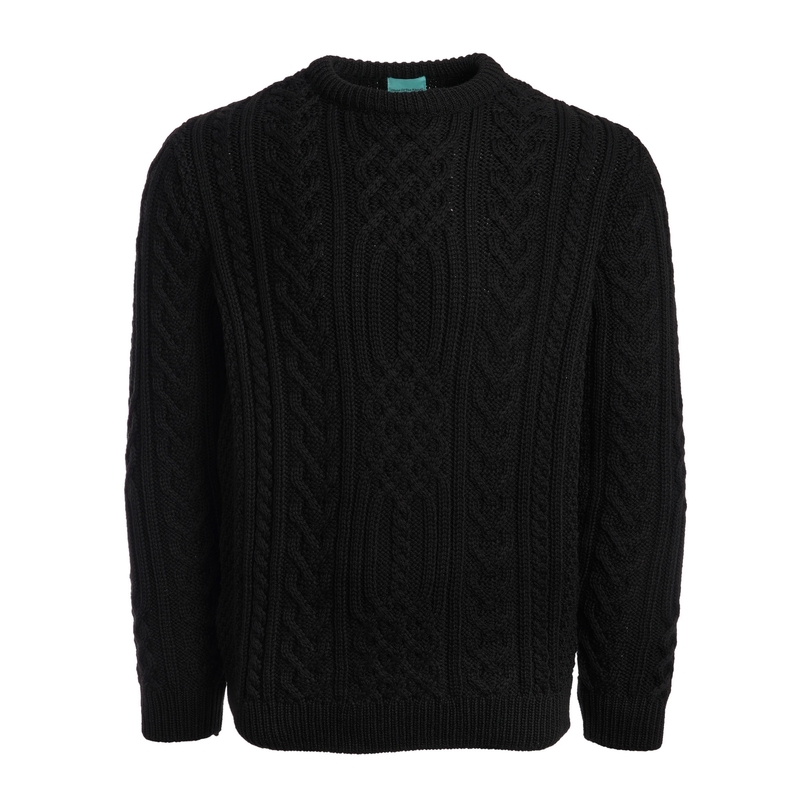 Regular in fit with a 100% merino wool construction that boasts a warming cable knit texture throughout. Detailed with woven None Of The Above branding to the inside neckline only - part of the label's ethos - this Black iteration promises to be the perfect layer for when there is a chill in the air. Try wearing as a single layer for lounging or wear as an underlayer to a blazer for sharp finish to business-casual attire.